The first Anglican priest arrived in Canada as chaplains on John Cabot’s expedition in 1497. The first Anglican Eucharist on Canadian soil was celebrated in 1578 by Robert Wolfall, who was chaplain to Martin Frobisher’s expedition to the Arctic. The Parish of St. John the Baptist in St. John’s, Newfoundland is the oldest Anglican parish in Canada, founded in 1699 in response to a petition drafted by the Anglican townsfolk of St. John’s and sent to the Bishop of London, the Rt. Rev. Henry Compton. Members of the Church of England established the Society for the Propagation of the Gospel in 1701 which provided missionaries to Canada until 1940. Another Anglican mission, the Church Missionary Society was established in 1799, and sent missionaries to try to convert Canada’s First Nations until World War I. The Church of England in Canada, as it was called until the 1950s, established numerous residential schools which sought to assimilate native peoples into British concepts of civilization. The Anglican Church was a dominant feature of the compact governments that dominated the colonies in British North America. Adherents to the Church of England were also numerous amongst the United Empire Loyalists who fled to Canada after the American Revolution. After the conquest of Quebec and the American Revolution, many leading Anglicans argued for the Church of England to become the established church in the Canadian colonies. The Church of England was established by law in Nova Scotia, New Brunswick and Prince Edward Island. In Lower Canada (now Quebec), the presence of a Roman Catholic majority made establishment in that province politically unwise. In Upper Canada (now Ontario), leading dissenters such as Methodist minister Egerton Ryerson argued against establishment. Following the Upper Canada Rebellion and the Durham Report and establishment of responsible government in the 1840s, the unpopularity of the Anglican-dominated Family Compact made establishment a moot point. The Church was disestablished in Nova Scotia in 1850 and Upper Canada in 1854. By the time of Canadian confederation in 1867, the Church of England was disestablished throughout British North America. The Clergy reserves, land that had been reserved for use by the Protestant clergy, became a major issue in the mid-19th century. Anglicans argued that the land was meant for their exclusive use, while other Protestant denominations demanded that it be divided among them. Until the 1830s, the Anglican church in Canada was treated as the property of the Church of England: bishops were appointed by the church in England, and funding for the church came from the British Parliament. The first Canadian synods were established in the 1850s, giving the Canadian church a degree of self-government. As a result of a Judicial Committee of the Privy Council decision in 1861 (Long v. Gray), all Anglican churches in colonies of the British Empire became self-governing. Even so, the first General Synod for all of Canada was not held until 1893. In that meeting, Robert Machray was chosen as the Canadian church’s first Primate. A gathering of Christians for worship in a particular place. A gathering of Christians for worship in a particular place. A self-supporting church community led by a Rector or Incumbent and a Vestry comprised of elected members of the parish. A multi-point parish consists of one or more Congregations or points that share the liturgical ministry of a parish priest or parish ministry team. A grouping of parishes within a diocese, headed by a Regional Dean, that meet on a regular basis to deal with common concerns and problems. Not all dioceses have deaneries. A unit within a diocese, larger than a deanery, headed by an Archdeacon. A territorial Archdeacon may have some administrative responsibilities delegated to them by the bishop. Not all dioceses have archdeaconeries. A geographic area under the jurisdiction of a Diocesan Bishop as chief pastor. There are currently 30 dioceses* in the Anglican Church of Canada. A diocese is governed by a diocesan synod composed of the bishop(s) and elected members of the clergy and laity chosen by the parishes. Bishops are elected by diocesan synods. * The diocese of Cariboo is not currently functioning as a diocese. The parishes formerly within the diocese of Cariboo are now part of the Anglican Parishes of the Central Interior (APCI) and under the episcopal oversight of the Suffragan Bishop to the Metropolitan of British Columbia and the Yukon. A grouping of dioceses into a common area. There are currently four ecclesiastical provinces in Canada. They are (moving from east to west): Canada, Ontario, Rupert’s Land, and British Columbia and the Yukon. Ecclesiastical provinces meet in provincial synods at regular intervals to transact business of common interest. The bishop in charge of an ecclesiastical province is called the Metropolitan and is an Archbishop. The Metropolitan is elected by the provincial synod which is composed of bishops, clergy and lay delegates. The national governing body of the Anglican Church of Canada. Founded in 1893 the General Synod now meets every three years and is composed of representatives of bishop, clergy and laity from every diocese. The Primate is the President of General Synod and the Vice-President is the Prolocutor. The Primate is elected by the General Synod to represent the Anglican Church of Canada at international meetings and to head the National Church. The Primate, by nature of the position, is an Archbishop. Between meetings of General Synod the business of synod is carried on by the Council of General Synod and its Standing Committees. The Anglican Communion consists of over 80 million members in 44 self-governing national and regional churches made up of about 500 dioceses, 30,000 parishes and 64,000 individual congregations in a total of 160 countries. The Anglican Communion is the third largest church in the world and it is, after the Roman Catholic Church, the most widespread. The Archbishop of Canterbury, the head of the Church of England is accorded a “primacy of honour” among Anglican bishops worldwide. He chairs the once every ten years meeting of the Lambeth Conference, which draws together all the bishops of the Anglican Communion, as well as the triennial meetings of the Anglican Consultative Council which gathers Anglican bishops, clergy and laity from around the Communion. Unity and co-operation within the Communion are facilitated by a number of bodies including four which are sometimes referred to as the Instruments of Communion, namely: The Archbishop of Canterbury, the Primates’ Meeting, the Lambeth Conference and the Anglican Consultative Council. 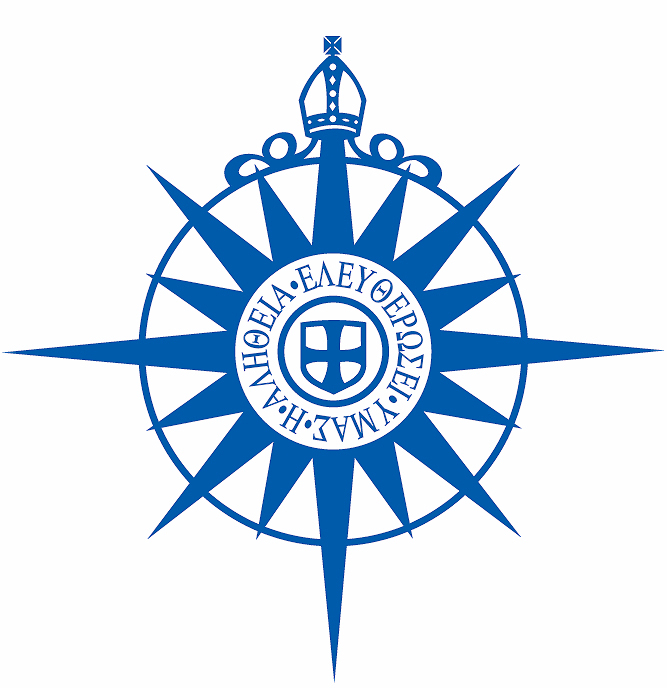 Some churches within the Anglican Communion are called Episcopalian. These churches (such as the USA) come from the Scottish Episcopal Church. The Scottish Church is as old as the English Church and has a very different history. The Anglican Communion, therefore, has two roots: the English Church and The Scottish Church. When the British people settled the British Empire they took their religion with them and thus Anglicanism spread worldwide. Eventually these overseas parishes became autonomous provinces of the Communion. These churches, while autonomous in their governance, are bound together by tradition, Scripture, the Prayer Book, Canon Law and the inheritance they have received from the British Churches. They together make up the Anglican Communion, a body headed spiritually by the Archbishop of Canterbury. If an Anglican church is a member of the Anglican Communion, it is said to be “in communion”, or “in communion with the See of Canterbury”.